It’s long been known that methane is a major contributor to global warming, responsible for roughly a quarter of the warming we’re experiencing today and second only to carbon dioxide in its impact on the current climate. 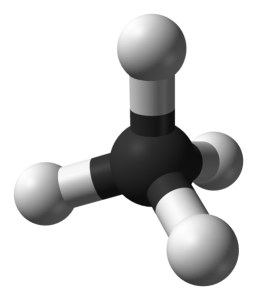 But research suggests methane has an even more potent warming effect on the climate than scientists previously thought. For example, a study in Geophysical Research Letters significantly revises estimates of the energy trapped by methane by including its previously-neglected absorption of near-infrared radiation (past research included only infrared absorption—a different part of the radiation spectrum). The study finds that the radiative efficiency—how much energy is trapped in the climate system by unit mass of methane—is 23% higher than estimates used in the 2013 Intergovernmental Panel on Climate Change (IPCC) Fifth Assessment Report (AR5). Methane also impacts warming indirectly by creating more tropospheric ozone and stratospheric water vapor. Its global warming potential (GWP) accounts for both its direct and indirect warming effects. But the new research affects only the direct radiative properties. The net increase in methane’s GWP is 14% compared to their IPCC AR5 values (over both 20- and 100-year time horizons). Reducing methane emissions is especially important for curbing near-term warming. Because methane only lasts for a decade or so in the atmosphere, reducing emissions can have a near-immediate impact on slowing the rate of warming. This is critical for reducing the impacts that we’re already seeing, such as sea level rise and worsened extreme weather events. Slowing warming also gives animal and plant species a better chance at surviving climate change. Findings like these are important because if methane impacts the climate more than we thought, it means that our actions to reduce its emissions from human activities—energy production, agriculture, and waste management—can play an even larger role in curbing warming. In other words, policy actions and technological innovations to find and reduce emissions are more important than ever. …policy actions and technological innovations to find and reduce emissions are more important than ever. What does the research mean for the generally accepted estimates used in the science to guide policymakers? The IPCC is generally regarded as having a relatively conservative outlook on evolving science, as its content needs to be agreed upon by hundreds of representatives from across the world. Further, it inherently lags the best and most current science because any research published after the writing deadlines cannot be included. However, it is very likely that these findings will be included in the IPCC Sixth Assessment Report, due in 2021, considering that some of the authors were also authors of the IPCC AR5. In the meantime, scientific assessments of methane emissions should use the updated estimates of methane’s ability to trap heat (14% higher than the current IPCC estimate). EDF, for one, intends to begin factoring this new information into our own work to encourage actions to reduce methane from oil and gas sources.